Why do we view mental illness differently than other sicknesses? 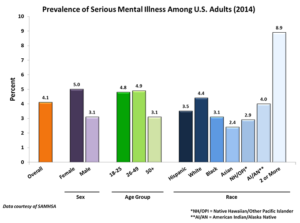 According to The Free Dictionary, an illness is defined as, “poor health resulting from disease of body or mind; sickness.” (Farlex, Inc, 2016) Mental health refers to the well-being of the mind or brain. Our brain controls our overall well-being, including mental, emotional, physical, spiritual, intellectual and every aspect of a human being. A mental breakdown or manic episode is a symptom of the illness/sickness that usually creates a ripple effect that compromises the functioning of the whole person, including not only our main control system, but overall wellness – resulting in un-wellness – which is an illness or sickness. Now, let us think about mental illness as a sickness of the brain that may encompass sporadic episodes that could occur and/or reoccur and/or may lead to a short term or long term illness. How does this seem to be a separate and unsubstantiated illness? How can we not think of mental illness as a medical condition? How is this type of illness any different than other types? When defining mental illness, The Medical Dictionary, an online open resource provided says to, see mental disorder. Disorder is, “a derangement or abnormality of function; a morbid physical or mental state.” After this basic definition of a disorder, there is a list of multiple types/varieties of disorders, ranging from acute stress disorder to unipolar disorder. On this one specific online medical dictionary there are approximately one hundred different and separate disorders that effect a human beings mental or physical wellbeing. (Farlex, Inc, 2016) Therefore, it is safe to say that anyone may suffer from at least one mental disorder/mental illness. Bipolar disorder is on the aforementioned list; however, it is also referred to in the field of psychiatry and psychology as a serious mental illness or SMI. · Resulting in serious functional impairment, which substantially interferes with or limits one or more major life activities. 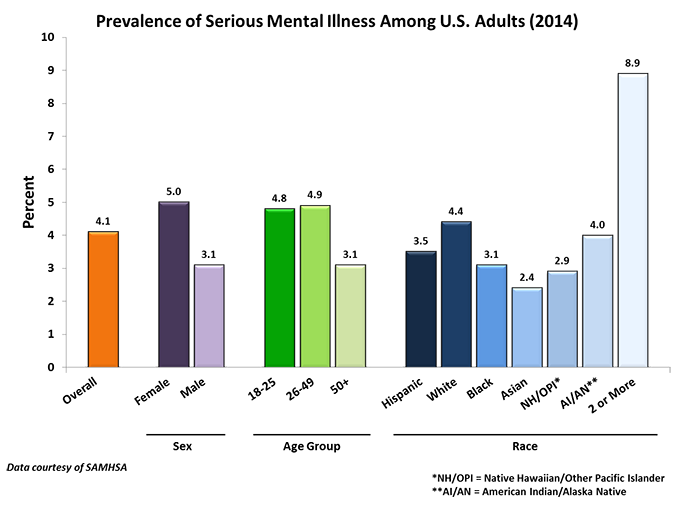 Based on these findings, we may determine that SMI is found among a multitude of different cultures, races, and classes in the United States. It knows no boundaries and has no limits as to who experiences it. Also, there is much research in the field of psychiatry and psychology that suggest SMI may be inherited or triggered by trauma. Families all over America and in other countries continue to seek answers as to why their family members do not receive the treatment and care they need and become or cause another tragic statistic. 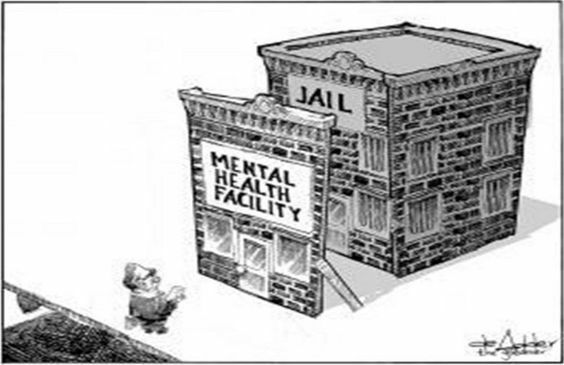 We cannot figure out why our mentally-ill loved ones are locked up in prisons instead of receiving appropriate medical treatment in reputable mental hospitals and clinics. We have more medical technology, we are more educated, and there are so many new treatments, yet the numbers keep rising and people are falling by the wayside. 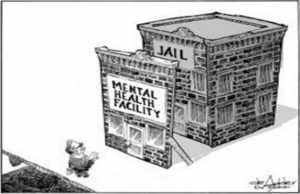 Once diagnosed, they are categorized and scrutinized by society to the point that the majority give up and become statistics of recidivism, homelessness or worse, suicide. Today, my son, Dwayne, is very well adjusted to any situation, and understands that he must continue taking medication to stay on an even keel; to stay well. This means taking care of himself; sleeping, eating, exercises, and being mindful at all times. As he studies to be a future peer support specialist, he hopes to be there to help others when they become ill, sick, or delusional. After surviving this long in jails and institutions, as well as witnessing the mistreatment and discrimination of others inside these places. His goal is to build a capacity of hope for those struggling with mental disorders. There are few who have been diagnosed with bipolar or other mental illnesses that have been able to rise above the darkness that comes along with the stigma, and the damaging labels imposed by society. We hope and pray that by working together as advocates, peer support specialist, and crisis intervention teams, that in the future, those who are or become ill will be treated with empathy and compassion, just like individuals suffering from cancer. God bless you all, and welcome your comments. Diana Stinson currently holds a position at Southwest Virginia Community College (SWCC) as an Education Specialist/Career Coach for the Trade Adjustment Assistance Community College and Career Training (TAACCCT) Grant – Round 4 and the PluggedInVA program. Her duties include assisting participants in their pursuit of gainful employment in manufacturing, welding, and carpentry/residential construction. Diana earned a Master of Science in Education from Old Dominion University in May 2000. Much of her studies were in the field of workforce development within the Occupational and Technical Studies for Community College Teachers curriculum. In 2001, she began coordinating the training and testing services for the SWCC Computer Learning Center. She took a position with Northrop Grumman, as an IT Support Specialist II from 2008 until 2010. Diana has over twenty years of experience in Information Technology and works diligently to keep her knowledge and skills up-to-date. Her career as an Adjunct Instructor of Information Technology/Computer Information Systems for SWCC and other colleges, began in August 1996. In addition, she received an Associates in Science in Computer Information Systems in May 1990 and a Bachelors in Computer Science from Bluefield State College in 1992.
illness we must deal with and the stigma is often the worse part of any mental illness. Great article, very informative. Wow! That hit the nail on the head! Excellent article! My son is a schizophrenic and has lived this! It took me years to get him help! If he had been sick with a non-mental illness would I have had to wait so long for help? Good for you for writing it so well! I will share this with anyone who will read it! Great article! I like how you compared mental illness to another non- mental health illness. Articles like yours will continue to help fight the stigma of mental health. This website is very valuable. Thanks for sharing all the great advice I have shared this info. I think the best way to get people attracted to your content is to be unique and offer high quality exclusive content. Tell your story do2&78n1#;t try to emulate others. You are special the sooner you realize this the better.